PTC and its ecosystem of partners are known for striving towards their customer’s success. That is why it is so important for us to listen to the voices of people who actually use the software, which we work on so carefully, on a daily basis. This year it took us all the way to San Diego, CA, for 3 days of intense discussions and brainstorming. PSC has been constantly present in the US for just a few months, but we’re making our presence a meaningful one. 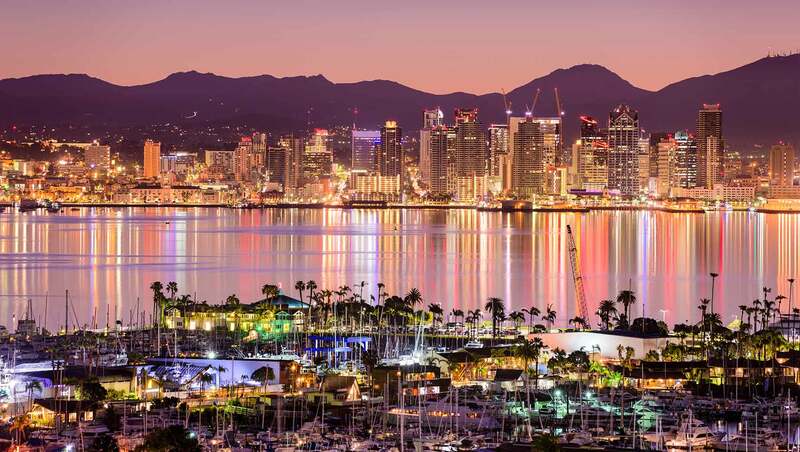 Taking into account the significance of not only collaboration between PTC Partners, but also the experiences of PTC technology users, we took the time to join the conversation happening in San Diego, CA, between January 16th and 18th . The Technical Community Winter Forum, held annually, is an event focused on exchanging insights an ideas on how to make the best industrial software even better suited to the needs of its every-day users. Divided into several technology-specific tracks, it allows PTC and its partners to share best practices learned on various projects, as well as plans for future software enhancements. On the other hand, end users get a chance to express their likes, dislikes, improvement ideas, experiences and general feelings of what PTC technology brings to the table in their respective organizations. As this was our first time at such a great event, we took the role of listeners, trying to learn as much as possible on how to make what we develop even more corresponding to actual needs of customers and their staff. And boy, did we learn some things. It’s hard not to spoil too much, or not to disclose any confidential or unconfirmed information, but we can safely say that rumors on AR being largely useless in industrial implementations are just some random rubbish. We listened to quite a few of customers’ actual use cases and needs for AR solutions, and they were presented with our developments for OCME, an Italian packaging machine manufacturer, among others. These caused a lot of buzz and discussions on how effective these implementations can be in day-to-day business. What’s more, a feature called “Collaborative AR Design Review” is planned to come to ThingWorx View this year. It will allow multiple users share the same experience and introduce additional information onto it, such as notes, comments, etc. Utilizing full capabilities of the Windchill PLM platform and the PTC Cloud Portal, this has a chance to be a real game-changer in how design review processes are done. Needless to say we have a few aces up our own sleeve, which we intend to leverage to make this even more useful and compelling to customers. I could go on like this almost forever. What’s the most important, though, is that PTC technology is rapidly evolving and expanding with a lot of feedback from its end users. This will not stop, as PTC aims to be the world’s leading industrial software company. And we intend to back it up with what we usually do – make “tech” be “high-tech”.